We may not have flying cars in 2019, but we do have pizza ATM machines. 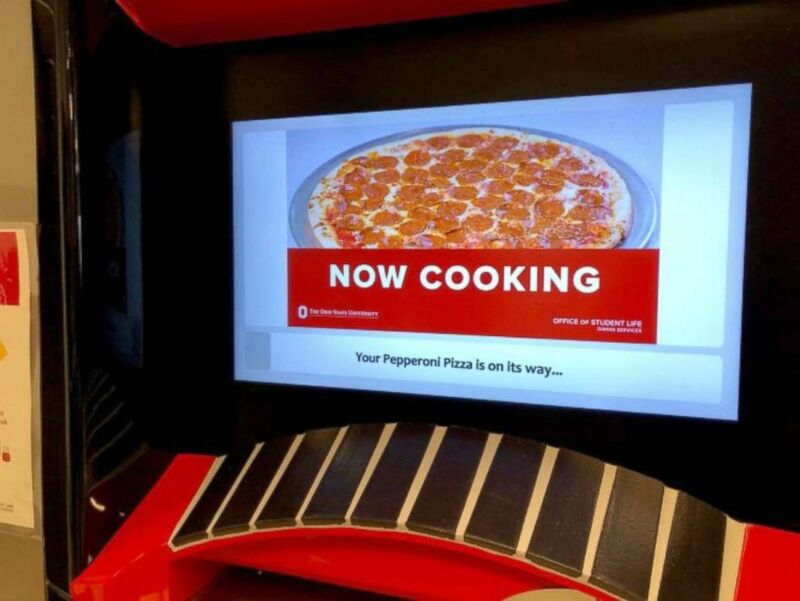 Students at Ohio State University can now get pizzas with just the touch of a button thanks to a new high-tech Pizza ATM on campus. 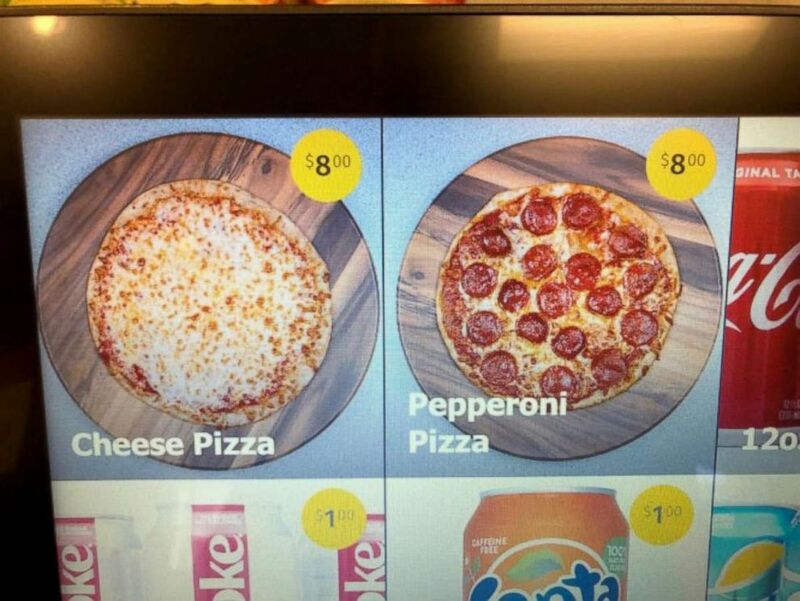 Rather than ten dollar bills, this ATM provides students with 10-inch cheese and pepperoni pizzas. Hot cheese and pepperoni pizzas from the Ohio State pizza ATM. How does this work, you ask? The pizzas are made by a neighboring kitchen, who then stores the uncooked pies in a refrigeration unit within the machine. Once the pizza is ordered, the ATM's internal oven cooks the crust to crispy perfection and melts the mozzarella in a matter of three to four minutes. The prepared pie then comes out boxed up and ready to be devoured by any Buckeye who has $8 and a pizza craving. There seems to be a lot of them. The cooking screen while ATM pizzas are in progress. "We put up the pizza ATM with no publicity and nothing on social media," said Dave Isaacs from Communications for the Office of Student Life said. "Just a sign in the dorm that said, 'pizza ATM this way' and an arrow. We sold 400 pizzas in the first week." Word of mouth certainly seems to be doing the trick. Isaacs said one student has already been five times since they unveiled it at the beginning of this semester. "It’s about a perfect size if you’re trying to get it on the go," Ohio State student Isaac Cox told Ohio State News. So if you don’t have too much time, you can get it and you can just go to class." Students enjoy a warm pizza from the pizza ATM. Right now the pizza ATM is only open from 11 a.m. to 8 p.m. for student meal plan holders, but Student Life and Dining Services hopes to extend hours throughout the semester and eventually have 24-hour pizza access by the start of the fall 2019 semester. "It's a big campus and there aren't a lot of late night options on that side of campus specifically," Isaacs said. "We'd like to be able to serve students at that hour with minimal staffing requirements." Dining services also hopes to expand past their cheese and pepperoni horizons. "There are 70 slots for pizzas and they're pre-made, so you name it and we might be able to do it," Isaacs said about future flavors. "We'll approach toppings with limited time basis offers and see what does well." The order screen options on the Ohio State pizza ATM. Isaacs said they hope to get creative with toppings in the future, even offering a breakfast pizza to ATM users. "Students love to eat at all times of the day and even at breakfast they can eat pizza. 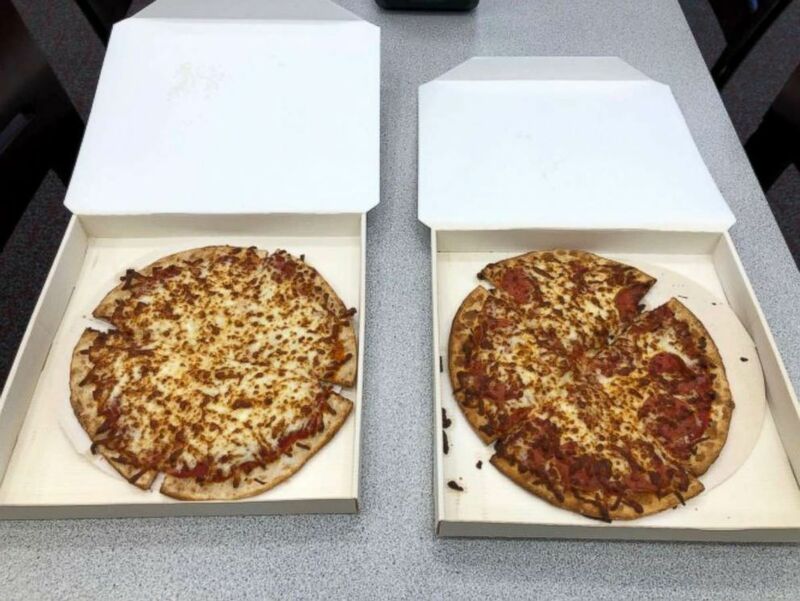 They love pizza," Abby Hertzfield associate director of operations for the Office of Student Life Dining Services told Ohio State News. 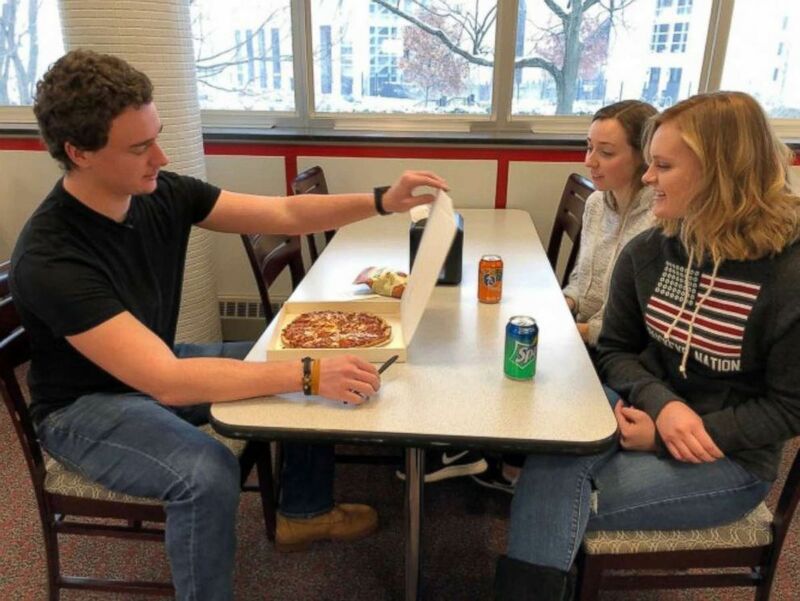 Whether morning, afternoon or night this addition of a new, quick way to get pizza on campus seems to be "money" for Buckeye students and staff.